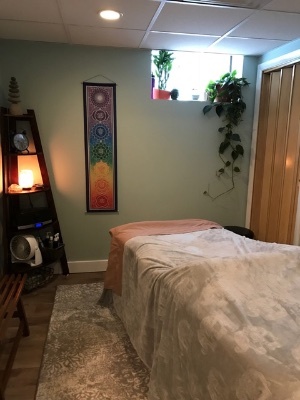 Here at Back On Track Wellness, we’ve found that massage therapy is a powerful recovery tool for a variety of problems — including acute and long-term injuries, chronic pain, headaches/migraines, carpel tunnel syndrome, TMJ, neck and back pain just to name a few – and we recommend it to all of our clients. All of Back On Track’s licensed massage therapists, Andrea Littlefield Robinson, LMT, Amanda O’Connor, LMT, and Jessica Laurin, LMT, have experience in acute and chronic injury rehabilitation, stress reduction, and overall wellness. They work closely with Dr. Sara to achieve each client’s optimal results – and see the most improvement in those who choose to make massage therapy a regular part of their healthcare routine. For those who have never experienced massage therapy as well as for the bodywork veterans, we’ve complied information about massage therapy in addition to frequently asked questions. Read on to learn more about how massage therapy can help you, too. If you’d like to save 15%, pre-purchase a series of 6 massage therapy treatments in advance and receive the 7th for free! They are available in either 30-minute sessions for $240 or 50-minute sessions for $420. For individuals with massage therapy benefits through their health insurance, workmen’s compensation insurance, or motor vehicle/personal injury insurance, we are happy to submit massage therapy claims on your behalf. Please refer to the insurance/payment section of our website for rates or contact us for more information. We accept Visa, MasterCard, American Express, and Discover credit cards, debit cards, personal checks as well as cash for massage therapy sessions. Additionally, give the gift of health with gift certificates to Back On Track Wellness! They are available in any denomination and make the perfect gift.